Houseboats are quite common in The Netherlands, especially in Amsterdam where you can find many houseboats along the canals (there are even houseboat hotels!). Most boats are spacious and stylish. Once inside you often don’t realize being on a boat. Only the movement of the water underneath you reminds that you are not on land. 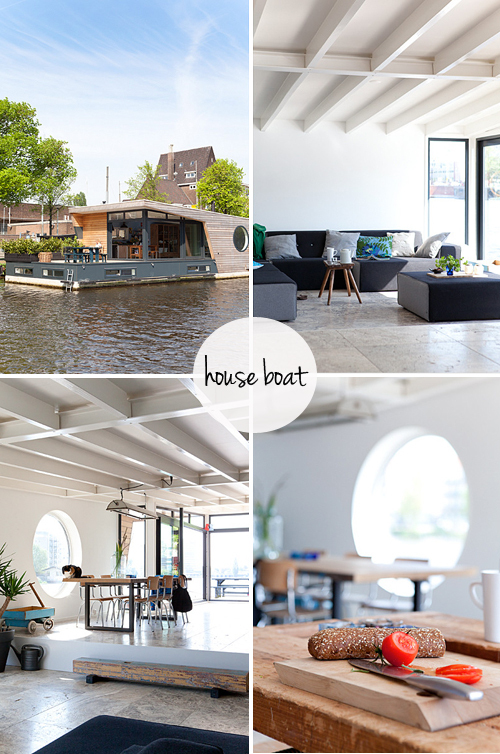 Love houseboats, and these are especially beautiful!